From the southern most vineyard in the Rhone Valley, a blend of Grenache Blanc and Roussanne, Rhone Paradox Blanc has an up front nose that reveals fresh fruit aroma that combines with hints of fresh flowers. A great wine to serve with seafood and grilled fish. Meaning Laughter in Spanish, this wine is a blend of Cabernet Sauvignon, Merlot, and Cabernet Franc from the Howell Mountain Estate, blended with excellent Cabernet from the Napa valley floor. It has intense powerful fruit and a rich smooth texture with flavors of currant, cocoa, black cherry and a hint of maple cream on the finish. Sure to bring a smile when you enjoy this at dinner. Continuing our wine ideas for Thanksgiving, we want to suggest Premiere Vendange from Henry Marionnet. What happens when you set out to make wine without the use of modern winemaking techniques? You get an exceptional quality and purity of Gamay fruit. This is the epitome of a natural wine. With aromas of blackberry and black cherry, it is a festive wine that will pair with lighter foods. There’s absolutely nothing added to making this wine. All indigenous yeasts and no sulpher added. 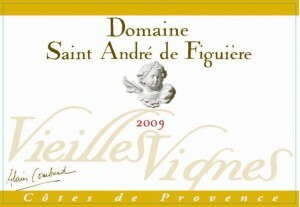 Every year we have this wine analyzed, and we do not need to put “Contains Sulphites” on the label. Truly a festive wine for every Bacchanalia. Who says Rosé is only for summer? Great rosé can be enjoyed throughout the year and with Thanksgiving coming up, I cannot think of a better wine to match with the myriad of flavors you find at the Thanksgiving table. 50% Mourvèdre, 25% Cinsault and 25% Grenache, this rosé has depth and elegance to grace the holiday table with a bouquet that breathes Provence with a hint of citrus and spice. Your information will not be given away, sold or otherwise distributed.